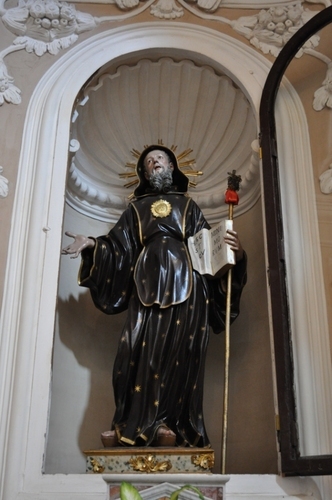 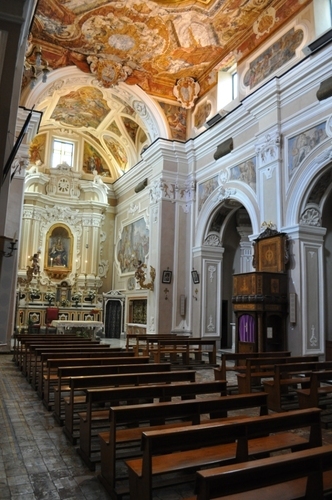 A place related to Giuseppe Moscati and his family is Santa Maria della Sanità’s Church, in Serino. It is annexed to Order of Saint Clare's convent and it was built at the end of 1600. 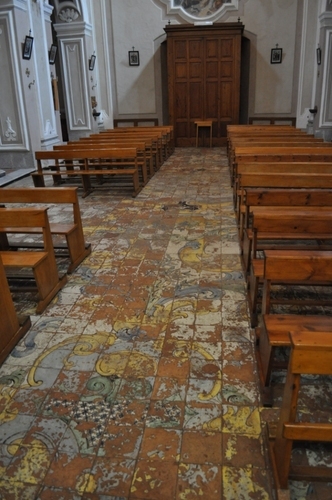 In late Baroque style, with tiled floor of Vietri, the Church has a nave with six side chapels, each dedicated to a saint. 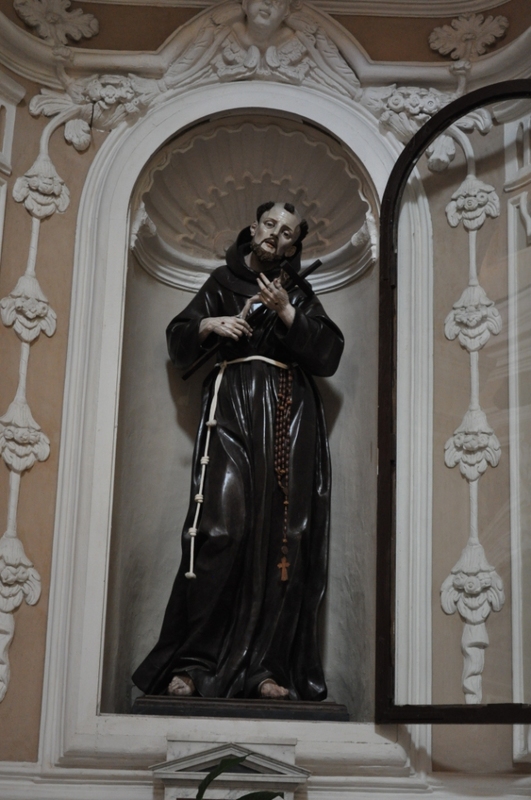 On the left: S. Francesco of Paola, S. Orsola, S. Francesco of Assisi. On the right: S. Gaetano of Thiene, S. Caterina of Alessandria, S. Clare. 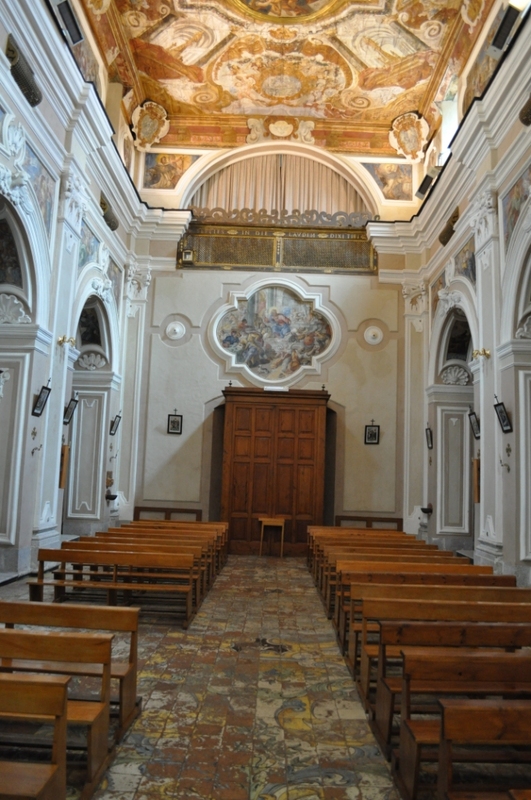 The apse is dominated by the majestic statue of Madonna della Sanità, cedar of Lebanon, attributed to the sculptor Nicola Fumo (b. Saragnano 1647 – d. Naples 1725). 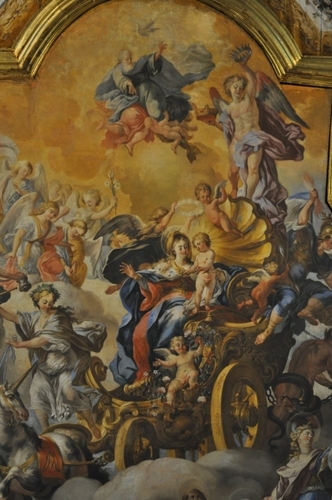 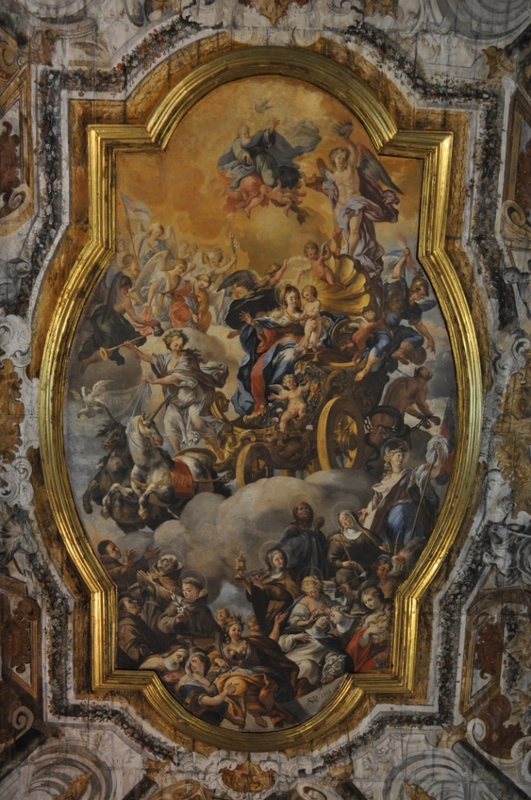 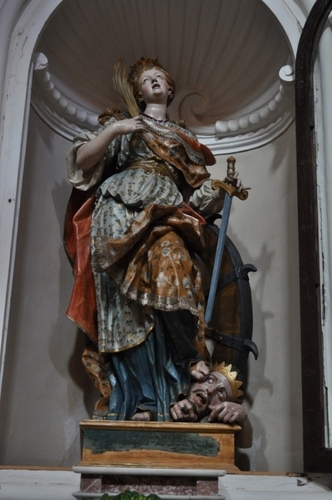 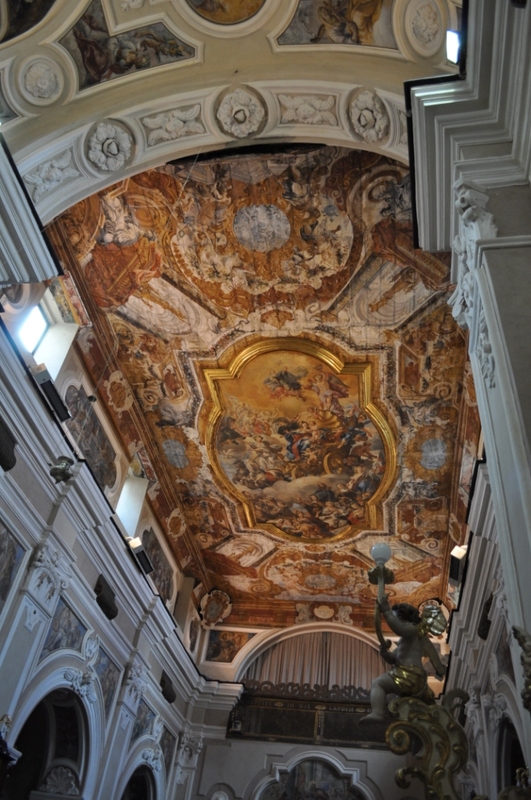 The rich ornamentation painting of the Church is entirely due to Angelo Michele Ricciardi, who signs in 1715 the ceiling of the Church, dominated by the framework of the “Virgin’s Triumph”. 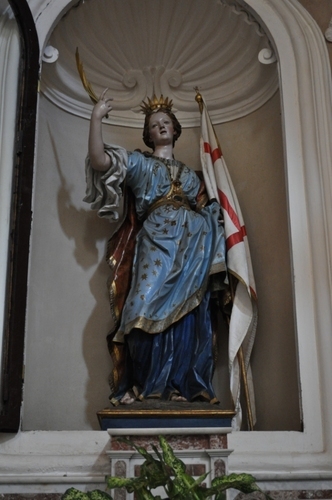 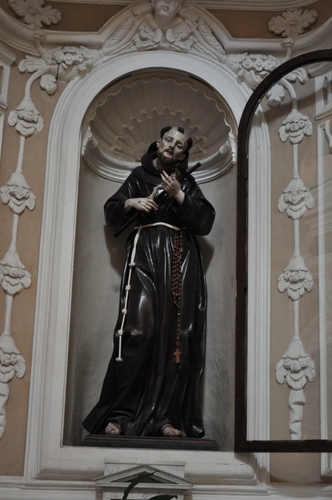 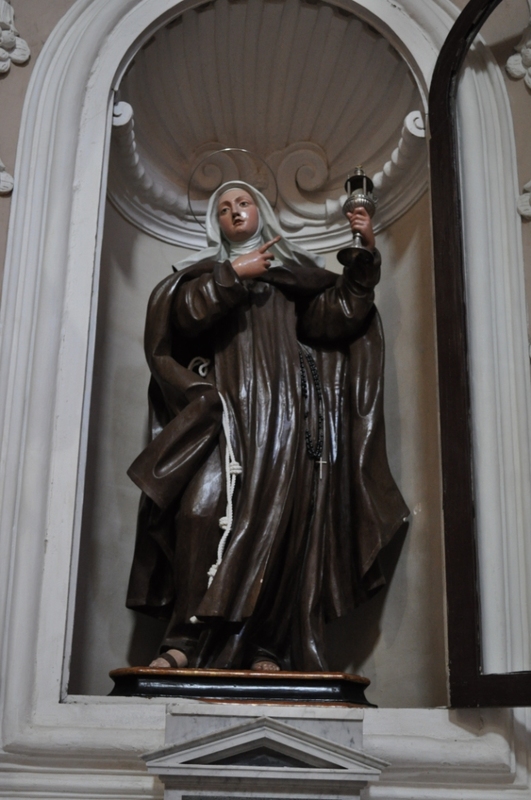 Moscati family procured works of art for the church, such as the statues of S. Orsola, S. Caterina, S. Francesco of Paola and S. Gaetano. 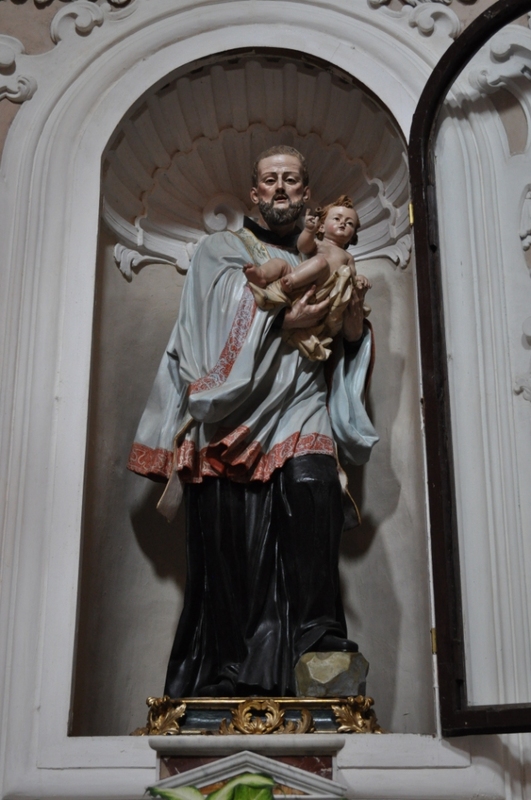 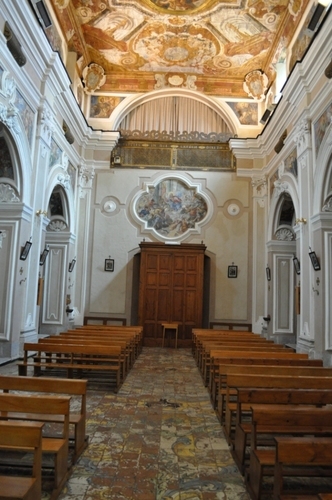 Francesco Moscati, Giuseppe Moscati’s father, every day during the holidays, participated in the Eucharistic liturgy, with the whole family in Santa Maria della Sanità’s church or in the Our Lady of Carmine’s noble chapel.